Kal-El toting tab on the way? Xoom - about to be surpassed? Motorola's Xoom tablet successor is reportedly being tested – apparently offering up rather nifty specs that include a quad-core processor Nvidia processor and a much higher resolution screen. Fudzilla is suggesting that the new Xoom will bring not only Android 4.0, but also a powerful quad-core Kal-El chip at its heart and a 2048x1536 pixel display. The name of the chip is a reference to Superman's Kryptonian name, and will be one of the most powerful mobile processors around when it, ahem, lands. 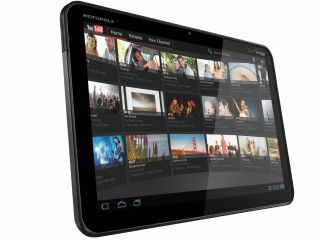 The Motorola Xoom made a big impact at launch, but there were immediate rumours that a successor was not only planned but well along the development path. If the current story is true then this could be a real contender from a company that has put a sorry few years behind it and is looking to build on the successes of smartphones like the Motorola Atrix. Currently dominant in the tablet market is Apple's iPad 2, and its successor, the Apple iPad 3, could well also boost a higher resolution screen and a quad-core processor.